Andy McClure is an Associate of TM Capital Corp. Prior to joining TM Capital, Andy worked in the Corporate Development, Mergers & Acquisitions Group at Turner, formerly a Time Warner Company that is now owned by AT&T’s WarnerMedia. While at Turner, Andy focused on initiatives in the technology and media space across Turner’s Latin America footprint. Prior to Turner, Andy worked in the International Media Group of the PGA TOUR in Ponte Vedra, Florida. 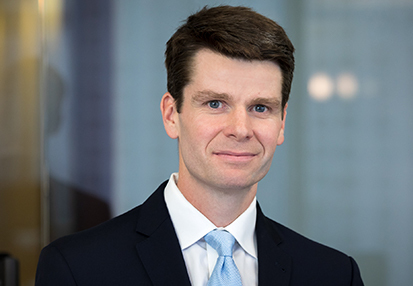 Andy received a Bachelor of Arts degree from the University of Virginia and an MBA in Finance and Strategy from Emory’s Goizueta Business School. Outside of work, Andy resides in Buckhead with his wife, Meghan, and their Goldendoodle, Minne. In his free time, he enjoys long-distance running and playing golf. Andy is a devoted – though usually tormented – fan of the Virginia Cavaliers and all Atlanta-area sports teams.